What determines the order of the slides on the frontpage slider? I do not have the random order check box selected, and they are NOT presenting in either published or alphabetical. 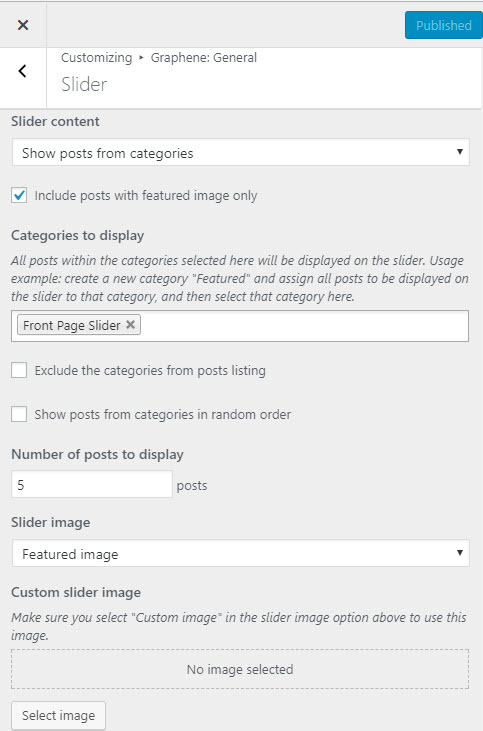 It should follow the same order as presented in WP Admin > Posts. What is the setting you’ve chosen for the slider’s content? Do you have any plugin installed related to posts ordering by any chance? I am unable to replicate the issue on both our local and development server. By default, the posts are ordered first by menu_order (in case of pages), and then next by the post’s published date. I don’t believe so. Even so, I disabled ALL plug-ins, and refreshed the home page, with the same results. So, I installed a re-order plugin, put them in order, and the slider works now. Just confusing why it didn’t in the first place. My guess is something has changed the menu order of those posts previously. Even when you disabled all plugins, those settings are usually stored in the database, so they still take effect for certain queries where it was specifically mentioned to sort by menu order first, then date.